Use this split level monogram tutorial in Cricut Design Space on vinyl, heat transfer vinyl, and more! 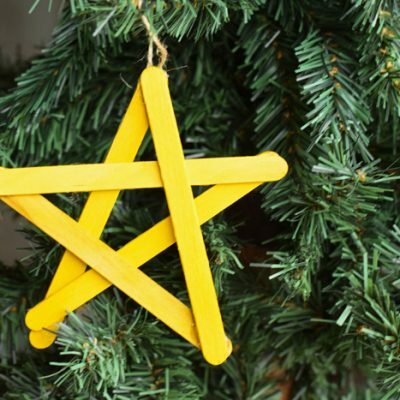 This post contains affiliate links, which add no extra cost to the consumer but help support this site to bring more Cricut related tutorials. 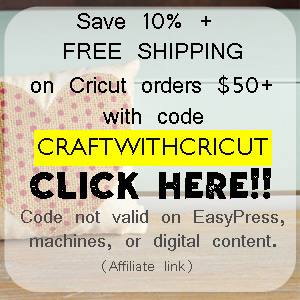 Need Cricut supplies? 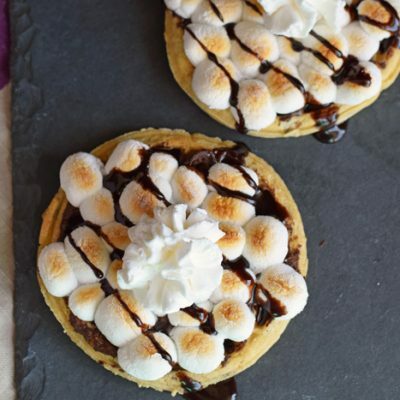 Use my exclusive discount code MELANIE10 and click on THIS #CRICUTPARTNER affiliate link for 10% off supplies and free shipping on any order (code not valid on machines, EasyPress, or digital). The split level monogram is probably my favorite at the moment. I not only like the look, but I also think it is used less than other traditional monogram types. 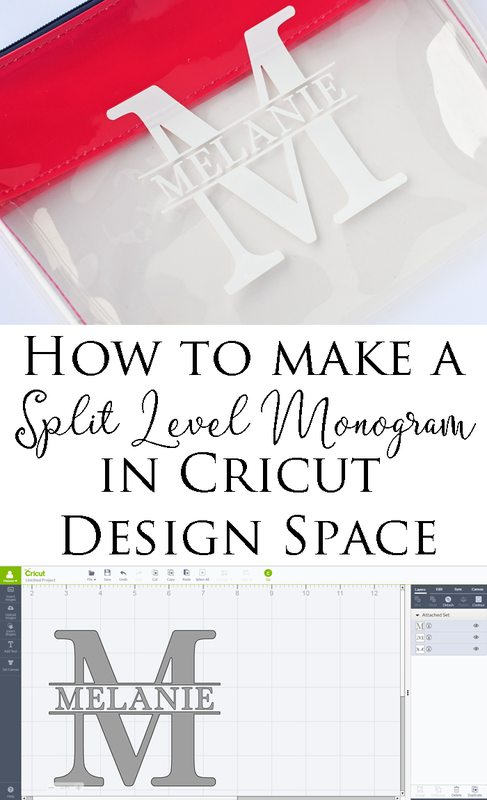 Did you know that you can make a split level monogram in Cricut Design Space? It is easy, but it does require a few steps and the use of the slice tool. Open up Cricut Design Space and let’s make one! If you like video tutorials, see the video tutorial below. Or keep reading for the photo tutorial. Please be aware the the photo tutorial was done in a previous version of Cricut Design Space, but the process is still the same. Type the letter (or letters) that you want to split. Change them to the font that you want. At the very end, you can resize it to the size for your project, so do not worry about that right now. I’m using the Cake Basics font below. 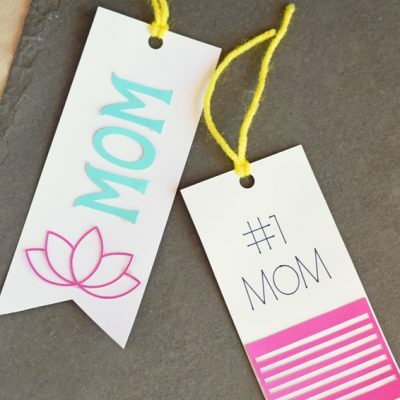 Looking for more Cricut fonts to use? 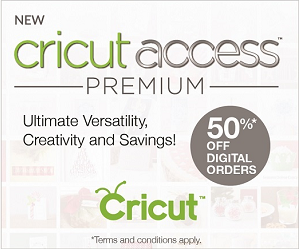 Sign up for Cricut Access™ Standard and get 10% off all orders on Cricut.com and in Cricut Design Space™. Select “insert shapes” on the left hand menu, and add a square. On the lower left hand of the square, click the lock icon so that it turns to unlock. Pull the square to create a rectangle. This rectangle will be the line that is split (see the finished example- the line about and below the full name). Copy and paste this rectangle to create a duplicate. Pull one rectangle over the large letter. Keep in mind that wherever you place the line will determine the top half of the split letter. Once the rectangle is placed, select the rectangle and the large letter and then click “Weld” on the right hand layers panel. Pull the second rectangle over and SPLIT the FIRST RECTANGLE. Delete all the elements except for the bottom and top half of the big letter. Add the name/word to the middle. Make sure that all the layers are centered and aligned as you would like. Select them all, and then click “Attach” on the right hand layers panel. Once the layers are attached, you can resize the entire piece to fit your project. Then send it to be cut. All done! Are you looking for more Cricut information, tutorials, tips, and projects? 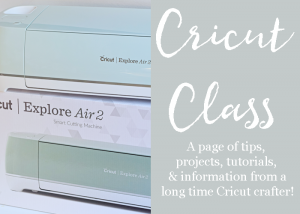 Check out the Cricut Class page! I always wondered how to make the split! I am saving this for later! Thanks for sharing! The slice button will not appear if the two items are not overlapping. Make sure that they are overlapping and it should appear. I really like how you used a more classic font. Seems like I always see the initial as being regal or fancy. Love this classy and clean look. Thanks! Thanks, Brandi! No matter how many fonts I download, I always seem to go back to classic ones when making monograms! Two sections have to be selected in order for the weld option to appear. Be sure to select the two pieces that you want to weld. Hi there! Thank you so much for the great tips! I still not able to select both pieces, please help. Hi, two pieces (in this case, the rectangle and the letter) have to be selected in order to weld. See this photo (https://ithappensinablink.com/wp-content/uploads/2017/04/split-monogram-5.png) how on the right hand side the letter and one of the rectangles are lightly blued out (selected)? By selecting these two, I was able to get the weld button to show up. Can this be done with the expression 2 machine? Are you using Cricut Design Space? The tutorial is specific to the design software and not necessarily to the machine. Once I have to box to slip the bottom from the top my SLIP ICON is not lit for me to be able to use it. what am I doing WRONG!! Hi, do you have two different pieces (the box and the letter) selected? The slice icon will only light up if both of them are selected. To select both at the same time, hold down the “shift button” and then click one right after the other. I am such a newbie to this and I appreciate your time in sharing your knowledge. How do you delete certain parts? I always end up deleting parts that I don’t want to delete. Make sure that the part that you want to delete is not attached to anything else and that it is the only thing selected. It should also not be grouped with anything else. As in, your slice icon is not showing available for you to select? Two pieces on top of one another have to be selected in order for the slice icon to appear available. I’ve watched multiple tutorials, but I can’t get certain letters to look right when I do this. Any advice for the letter A? I feel like the trick with the letter A is to make the name be lower in the space closer to the crossbar of the A. This is awesome! I was playing around after looking at your tutorial, and I had this discovery. Use a fat rectangle initially over the letter (will be your lines), weld that and the letters together, and then use a slightly less fat rectangle centered in that original rectangle to create the lines, select everything and then slice. Then delete all of the extra rectangles and you’ll have the same effect, but the letters will be perfectly aligned since you aren’t moving anything. This is great, thank you for the tutorial. Do you have any suggestion of where to split an E? I would split it in the middle of the middle line on the “E” (if that makes sense?). Great how to video. For some reason I can not get past “Delete all the elements except for the bottom and top half of the big letter.” I am not getting the blank space to type in the name. Any suggestions? Hi, after deleting everything except the top and bottom half, you’ll have to pull the bottom away from the top to create the blank space. I apologize for leaving that bit out! Hi. I have the cricut air and my software is set up different. Anywa, I go to actions and the only options it allows me are duplicate and hide contour. How do I get these actions to work. I did something by accident that finally gave me the option to weld but then I cannot get the slice to come up. And of course I have no clue what I did. Anytime that I cannot get the slice to appear, it is usually a software glitch. I log out and then log back in and it fixes itself. If this doesn’t work, you may need to contact customer service. I have been wanting to make a monogram for the longest time. I found your directions today and they were perfect. I now have a perfect monogram for my car. I am glad that you found it helpful! Would I be able to do this without using a font from Access? I guess my question really is I’m pondering a Cricut machine, but am newly retired and don’t want to have to be “buying” access to fonts, and other accessories. Would this process be possibly on a free downloaded font that I might have? And once I make the initial Cricut machine, would I be able to do lots of projects that don’t require extra expenditures? Yes, you can do this with any font. Cricut itself comes with a few free fonts. You should be able to do a lot of projects without extra expenses, just keep in mind that there are always supply expenses. Where is the splice button located? I’m guessing it is in the panel when you have right clicked? I am going to try now, and hopefully be able to figure it out! You left out some crucial steps. Crucial for those new to Cricut. It would be wonderful if you added how to delete the box and everything else. I figured it out by going through different things and using the undo feature, but think this should have been included. I’ve tried taking it to the front before I splice and I’ve tried completely covering the bottom line or butting up to the top line , but continue to get the bottom line cut off . What am I doing wrong ? Are you making the second line into a square? There should only be one skinny line. The copied line should be pulled down to cover the remainder of the letter. Pull the second rectangle over the first rectangle, but so that the second rectangle is covering ONLY the bottom half of the first rectangle (and then pulling it down to cover the rest of the letter). Basically, pull the second rectangle over, but do not completely cover the first rectangle with it. Thank you for the tutorial — I have trying to figure this out and your directions made it easy. Thank you for sharing your gifts and talents with a Newbie!! I really appreciate the step by step details and pictures too! No problem! I enjoy it. Happy crafting! Love your tutorial, I just started following your blog and would love to see more Cricut tutorials from you. Have any fun kids Valentine’s Day ones? Hi, I have a page where I frequently update with any new tutorials: https://ithappensinablink.com/cricut-class-tutorials-and-projects/ . There is a Valentine’s Day section. Happy crafting! This might seem silly but I am having trouble covering the lower half of my letter with the duplicate rectangle. Could you possibly help me with that? Have you clicked the “unlock” button on the lower left of the shape? That will make it able to be manipulated. You may also move the shape off of the letter, pull it open, and then move it back over the letter and reshape it (this is helpful if you find that Design Space is getting your click between the letter/shape confused). OMG thanks!!!!! i was just racking my brain trying to figure that out. THANK YOU!!!! This woul d probably be helpful for people who aren’t beginners. Not sure how to select two items and also not sure how to slice them correctly. Super confused. 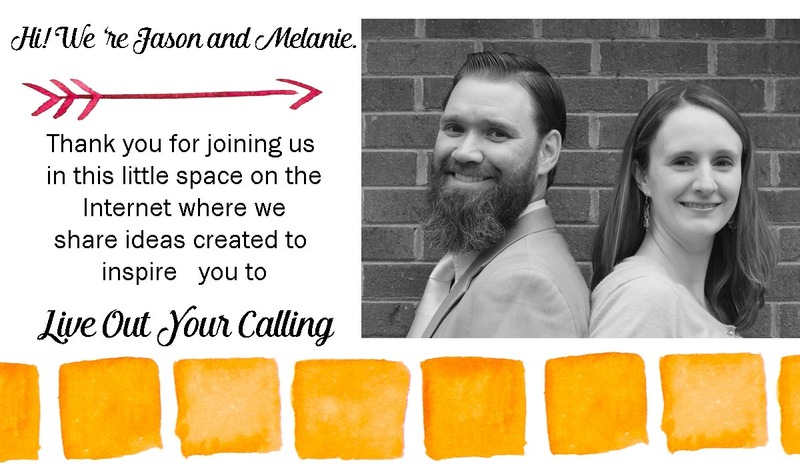 It is helpful to be familiar with Design Space (or at least have cranked out a few simple projects) before trying this one out. To select two items at the same time, you can press the “shift” button and then click on the two items that you want to select in the right hand panel. What do you do if your Cricut Design space has the “weld” option greyed out so you can’t click on it? It will be greyed out if you do not have two separate pieces that are able to be welded together selected. You have to select the two separate pieces for the weld button to appear. Hi guys. I just discovered this on Pinterest and I love it! Just had a crack at it turned out great. It did take a few attempts, mainly because it took me a while to understand what you meant by ‘split the rectangle’, but I got there in the end. I did our surname in a script and added the year and zip code where we were married. 25 years this year, so a lovely piece of Anniversary art. Thank you so much! when i go to cut mine it shows it as 2 different cuts and the whole thing isnt put together its being cut seperate and odd.its attched and i followed all directions.Your cricut design space looks different than mine so maybe mine is updated .I just got my cricut march 1 and all set up March 4. Thank you so much! This is my first week on Cricut and I made this in minutes using your tutorial. I am stuck on the slice part. I have the two parts selected. I have a screen shot so i can send it to you if you’d like. The slice icon won’t light up. I was so close. Are the two parts that are selected on top of one another? If they do not cover one another (at least partially) then the slice icon will not appear. Thank you for the step by step tutorial! I am very pleased with my monograms. I did a letter C, N, and S monogram. The letter C looks the best. The letters S and N look a little funny since they have a diagonal curve/line through the middle. When I slice it, the N and S don’t completely match up when I pull the second half of the letter down. Any advice you can give for letters that have that diagonal piece? I use the rulers to make sure that I am pulling them down in a straight line. If you’ve done that and have made sure that they are lined up when slicing, that is about all that you can do. Can you do two different colors or only one? For instance navy for the monogram and gold for the name. Hi, Before grouping the entire image together, change the name to another font color. It will then prompt you to change the materials colors when cutting.